I'm a bit late in starting my holiday posts, I know, but this is the first of four blog posts I'll be doing on my visit to Marrakech. My boyfriend and I went in September for a week and I thought I'd share some of my outfits and travel tips with you all. 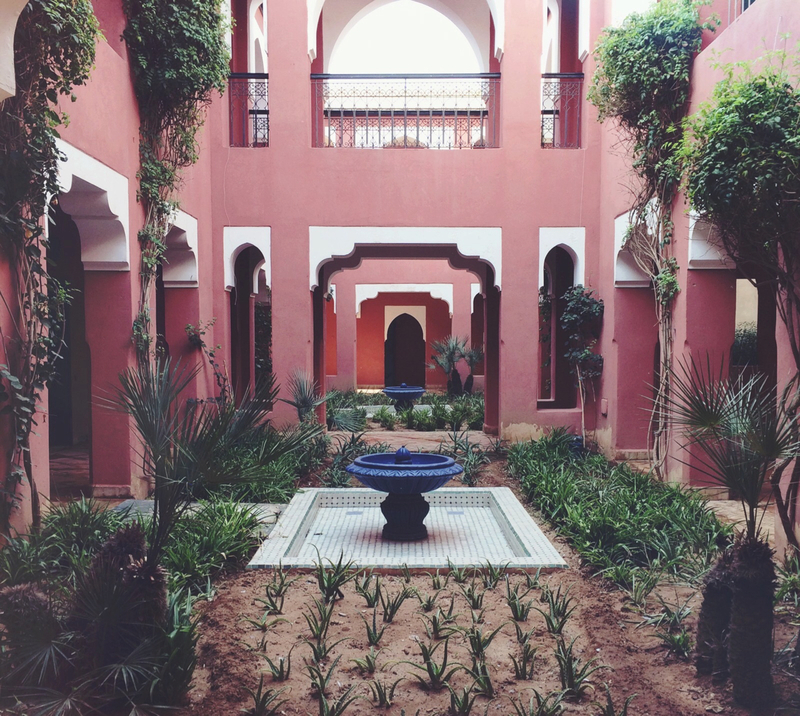 These photos were taken in our hotel; we stayed at the Blue Sea Ryad Parc and Spa, just outside of Marrakech city centre and we were so pleasantly surprised. We'd booked our holiday on a website selling cheap package deals and essentially just hoped for the best, what we actually got was a gorgeous room complete with lounge area and balcony, in a beautiful pink Ryad. For what we paid we got such a good deal! I would definitely recommend staying there if you want to visit Marrakech, it meant that we could chill and have time by the pool, and then venture into Marrakech or on excursions when we felt like it. The hotel offered a shuttle service in and out of Marrakech for less than £1.50 return, I personally don't think I would have liked to stay in the city centre, so it was nice that we had the option to stay and relax at the resort instead. I received this two-piece just before we left for the holiday and I ended up wearing it quite a lot, the shorts especially were so comfortable to wear with a bikini top around the pool. The stripes are also so classic that the top could easily be worn with jeans and boots as a transitional piece. Such stunning photos, looks like a beautiful place! Looks wonderful, I really want to go there some day. Looks like a lovely resort, hope you don't have too many holiday blues with the weather now!